Chelsea have completed the signing of Brazil international Ramires from Benfica on a four-year deal. The 23-year-old midfielder, who will cost the English champions about £17m, passed a medical on Friday. "He is a fantastic player," said Chelsea boss Carlo Ancelotti. "He will be the future of the Brazil national team and I hope the future of Chelsea." Meanwhile, Brazilian club Santos say they will report Chelsea to Fifa for an alleged illegal approach to Neymar, 18. The Blues have had one offer of about £16m turned down for the highly-rated striker, who scored on his international debut in midweek. "The English club presented us with a formal proposal some time back after having begun direct talks with the player and his representatives," said Santos president Luis Alvaro Ribeiro. "We refused it, but I found out that the siege continued. That's intolerable in view of the ethics that must govern relations between the clubs of world football. "In accordance with Fifa norms, Santos will defend their interests to prevent this type of attitude contrary to (such) principles." 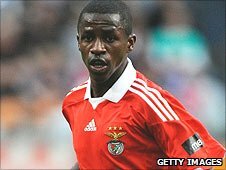 New signing Ramires, who plays in the centre or on the right of midfield, joined Portuguese giants Benfica last summer for £6.2m from Cruzeiro and has 16 caps for Brazil. He will miss Saturday's opening Premier League game against West Brom and join up with his new colleagues next week. "Every player in the world would love to play for Chelsea and it's a great opportunity that was given to me, I will give my best to repay this chance, and I am very happy," Ramires told chelseafc.com . His move to Chelsea was agreed almost two weeks ago but was delayed as club representatives endeavoured to secure a work permit. It was finally granted on Thursday, despite the fact that Ramires has not played the required 75% of matches for his country. The Brazilian will become the second player to join Carlo Ancelotti's squad this summer following the arrival of Yossi Benayoun from Liverpool. Ramires, whose full name is Ramires Santos do Nascimento, was praised by Brazil boss Dunga after strong displays in the opening stage of the World Cup in South Africa. If the deal goes through as expected, Benfica will have to repay £6m to sports entrepreneur Kia Joorabchian who part-financed the player's transfer from Cruzeiro to the Portuguese club. Press Association Sport says that this arrangement would not present any difficulty under the Premier League's third party ownership rules. On their website, Benfica said the deal will include full rights for the Premier League side. Ramires featured throughout Brazil's opening matches in South Africa, but a booking in the final group game against Portugal ruled him out of his country's quarter-final loss to the Netherlands. He joined the Brazil set-up in 2009, in time to play in every game of the country's successful defence of their Confederations Cup title. He helped Benfica clinch the Portuguese Liga for the first time in five years, also winning the League Cup in the process. Chelsea boss Carlo Ancelotti has been seeking to bolster the Blues midfield following the departure of Joe Cole, Michael Ballack and the return to Brazil of Deco. The club rounded off a miserable pre-season with a 3-1 defeat by Manchester United in the Community Shield on Sunday.